Step out of Miami to go to Fort Lauderdale and see Fort Lauderdale Beach, which is approximately 46 minutes away. 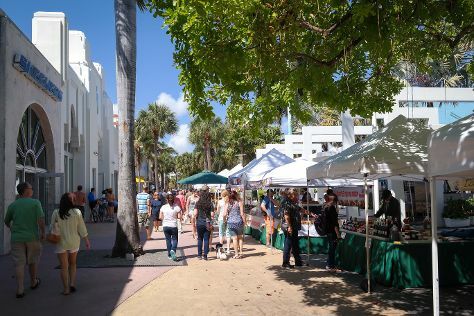 The adventure continues: take a stroll through Lincoln Road, enjoy the sand and surf at South Beach, see the interesting displays at Vizcaya Museum and Gardens, and don't miss a visit to Ocean Drive. To find reviews, more things to do, other places to visit, and tourist information, read our Miami day trip planning website . If you are flying in from Canada, the closest major airports are Miami International Airport, Fort Lauderdale Hollywood International Airport and Palm Beach International Airport. In June, daily temperatures in Miami can reach 37°C, while at night they dip to 29°C. Wrap up your sightseeing on the 10th (Mon) early enough to travel back home.